1170 Fire File is rated 4.1 out of 5 by 48. 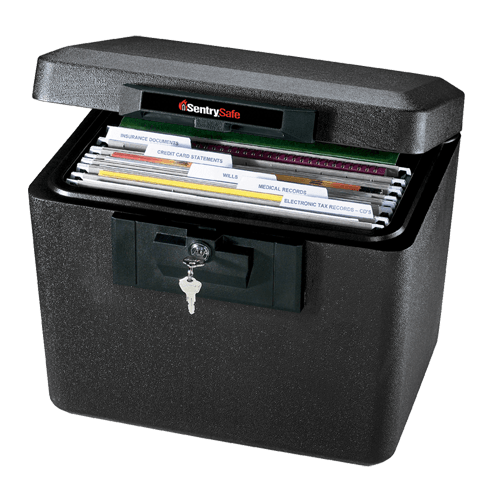 The Sentry®Safe Privacy Lock Document Safe 1170 is designed to protect your critical home and business documents while keeping you organized. With UL Classified fire protection, your most important documents are safe for up to 30 minutes at 1550Âº F.
Rated 4 out of 5 by Brian D from EXCELLENT "FIRE" SAFE Bought this fire safe to protect important documents from fire. 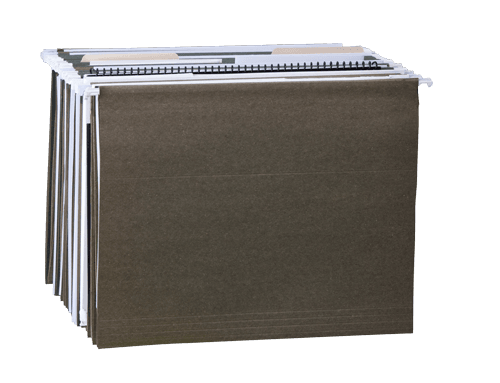 It is just the right size to store papers and file folders without folding them. Saw other reviews about problems with the key, but mine worked fine had no problem at all. Also saw some negative reviews about the lock being able to be picked. Keep in mind that this is a fire safe meant to protect contents from fire not a security safe. The only negative I would give it is, it really needs a set of handles. I was going to put it on an upper shelf, but at around 28 lbs. it would be hard for the wife to get it down. Put it on a lower floor level shelf so it can easily be slid out. Definitely recommend this product. Rated 1 out of 5 by Tammy Carey from Would give it zero stars if possible You would think that if advertised as fire proof they would also realize that water gets sprayed to put out fires and normal people assume that it's somewhat waterproof as well. Not the case at all as I found out the hard way this past week. It was completely useless when my home was destroyed in kingsland tx flood. My one glimmer of hope was this safe and the contents but when I retrieved it yesterday it was equivalent to having my possessions in a cardboard box. Rated 1 out of 5 by Files NOT safe from Keys DON'T work! I read so many negative reviews online, and purchased anyway.. in hopes I would have a good experience. Alas, I'm returning this product, and going with a different brand. Keys were IN locked safe, when I received it.. fortunately the safe doesn't close properly.. took 30 mins to wedge them out with a butter knife.. then the keys didn't even work!! So dissapointing!! NO stars. Rated 4 out of 5 by TooTall from Will do what I need. Needed a place to safely and securely store some important documents for a legal issue. Good price for what what you get. Might just be me, but I have to turn the key a bit before closing the lid or the key won't turn at all. I opted to live with it. Rated 4 out of 5 by KDon from Sturdy Safe Besides being fire resistant, the feature I like the most is the safe's hanging file design. Now, all my important documents are safe and neatly organized. Rated 5 out of 5 by Mike355 from Great Home Fire Protection This is a great place to store documents in a fire-safe container but which is readily accessible when adding or removing documents. Rated 4 out of 5 by Nelson01 from More stuff more room There is more room for more papers and other small items then the standard small chest models. Would like to have a handle though.